Looking to sharpen your skills and maximize your influence as a leader and as a team? Desiring to increase your EQ? Want to better understand what makes people tick? 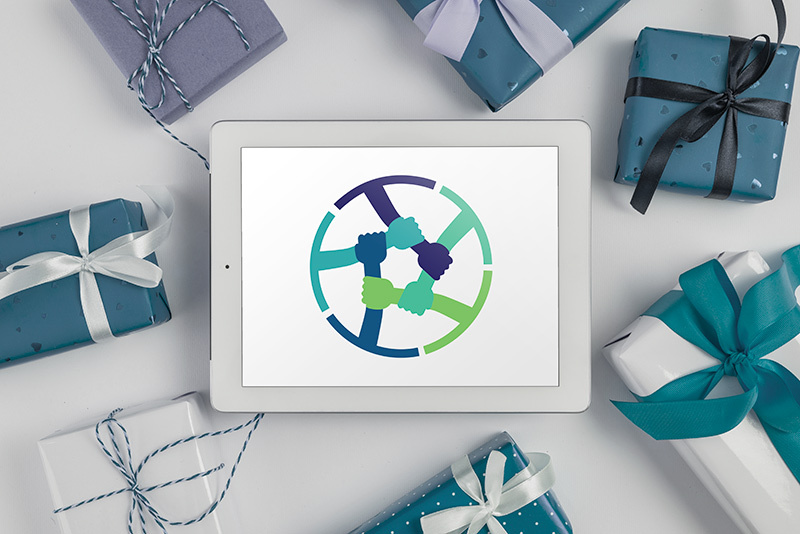 Our assessments deliver invaluable insights, tools and real-time applications specifically designed to propel you and your organization to the next level. Go ahead, pick your desired profile and get ready to embark upon a journey of self-discovery and empowerment! Unsure which assessment to take? Learn more about some of our offerings below. We offer a free consultation with the purchase of any assessment. The Prioritized Life Assessment helps to reflect and then realign the “capital” we are investing, busting through any glass ceilings, which have been keeping us from actually reaching our goals. Yes, when our capitals are in the right order we set ourselves up for the maximum amount of success and fulfillment both personally and professionally. Are your priorities aligned to thrive? We know that if your priorities are in the right order, it will set you up to discover “life to the full” and to all the more readily achieve your goals and objectives. However, even if your heart is in the right place, if your priorities are all out of order, living into all God has for you might not happen. The Prioritized Life Assessment is designed to help you analyze and align the capital available to you. Understand the gaps and deficiencies, which are potentially self-sabotaging the growth and achievement you want to see both personally and professionally. Learn how to recalibrate and realign the top five areas of your life to all the more readily reach your goals. Engage with the best practices of top leaders (just like yourself) to quickly take on practices, which are right for you. Put Together a customized action plan to ensure the changes you want to make actually happen. This assessment is designed to help you and your team leverage your strengths and differences to maximize productivity and profitability! It is built on the DISC Profile which centers around four key personality traits called Dominance, Influence, Steadiness, and Conscientiousness which are inherent to all of us in varying degrees. 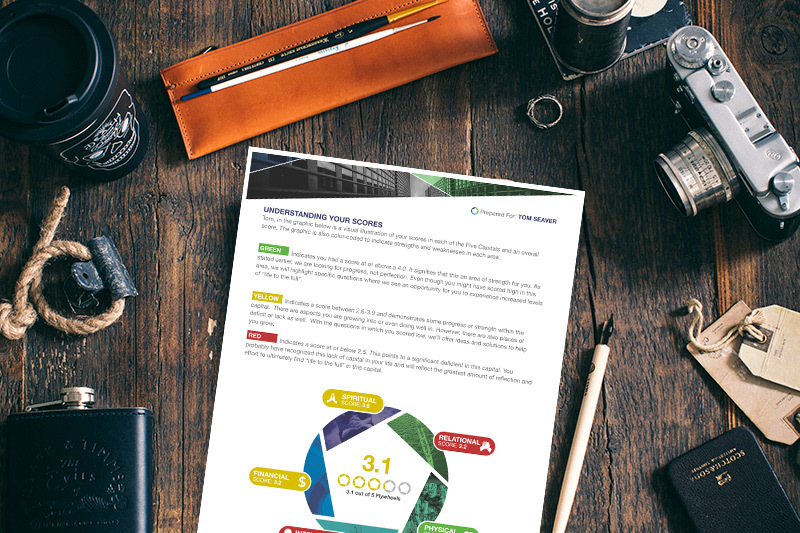 The Leading From Your Strengths Assessment is a 21-page word picture of your strengths. We have created over 19,860 unique profiles, which are fully interpreted and delivered instantly to you. Our objective is to empower today’s leaders to see a greater levels of health, productivity and influence both at home and at work. Increased self-awareness & emotional intelligence for executives, managers and team members. Learn how to better understand the buying decisions and motivations of clients. Understand you preferred selling style based on type, as well as how to grow into other adaptive styles based on the situation. Increase your ability to handle and manage conflict. Connect with your preferred communication style, understand the styles of others and how to more effectively communicate. Learn how to more effectively influence, motivate and engage others. 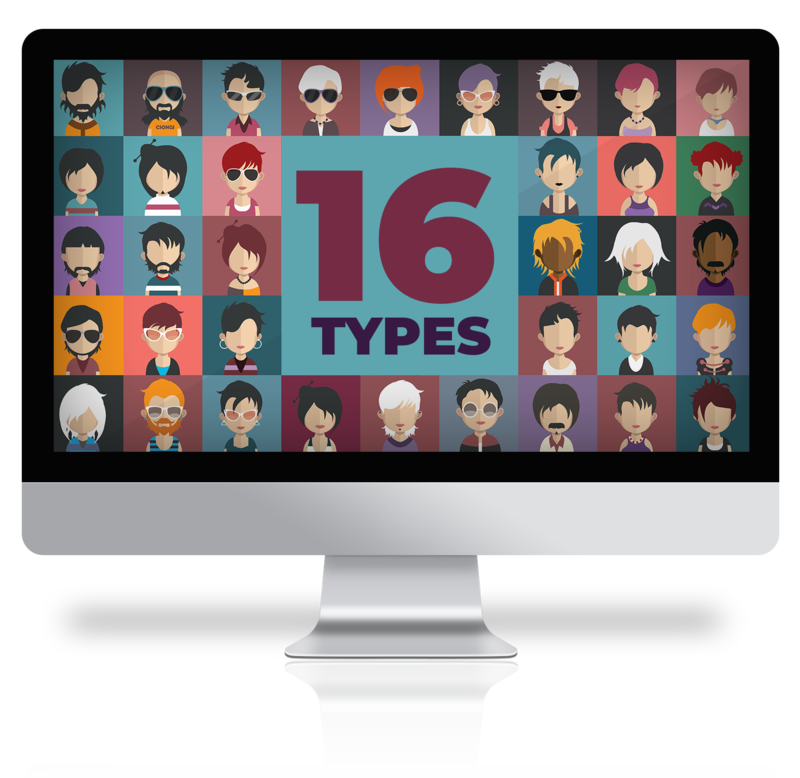 Around the globe “16 Types” is one of the most well-respected and commonly used personality type assessment tools. Based on research by psychologist Carl Jung, “16 types” is an easy to understand set of ideas which helps people in the areas of: self-awareness, emotional intelligence, empathy, team-building and overall organizational health, productivity and profitability. A deep dive into your “16 types assessments” will help you become a better leader, building stronger relationships both at home and at work. 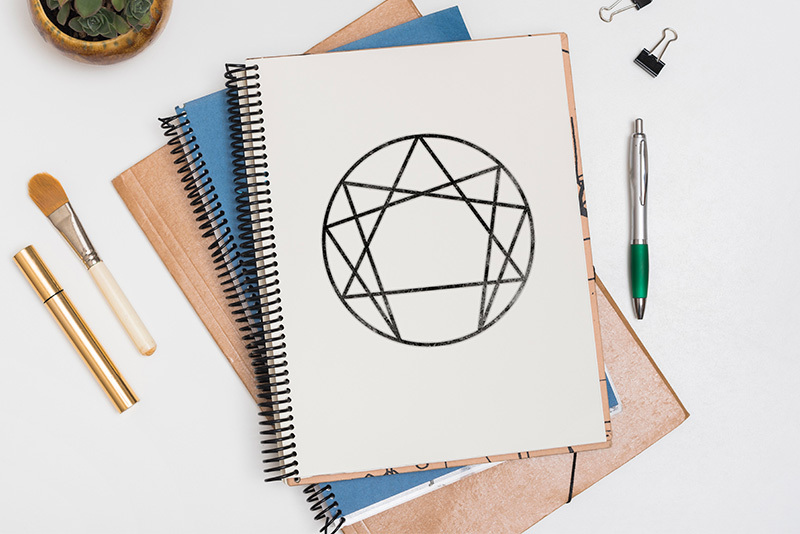 The Enneagram is a powerful and dynamic personality lens that describes nine distinct and fundamentally different patterns of thinking, feeling and acting. This ancient personality tool has been gaining popularity over the last 10 years, yet is one we’ve been using for decades. 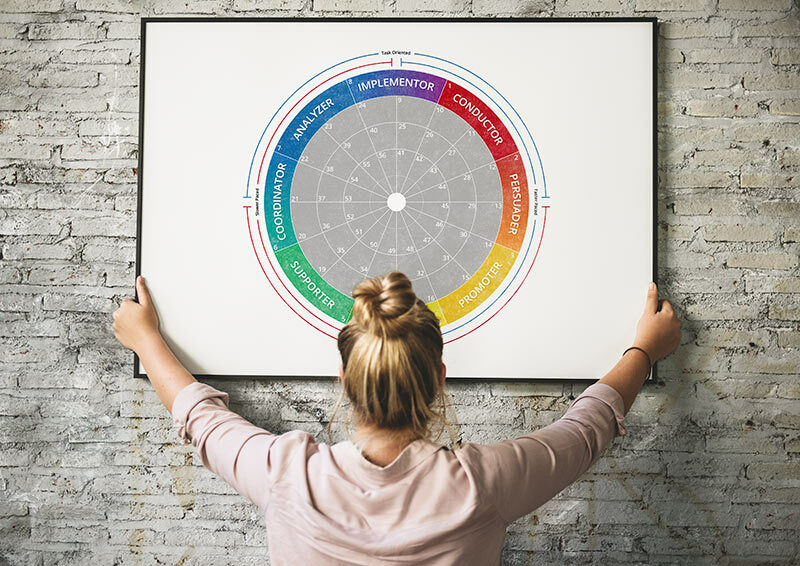 Based on this nine personality concept, there’s no better tool to help individuals and teams identify their strengths, weaknesses and blind spots. As you discover your personality type and the underlying basic proposition, you also will discover what motivates you, your coping strategy and keys to personal development. There are many practical applications in virtually all areas of life including increased emotional intelligence, increased empathy for others, healthier relationships and family life, and opportunities for spiritual development. Allows participants to identify and let go of negative patterns and behaviors related to their type. 5Q is a faith-based giftedness assessment designed to help participants understand their natural strengths and ability. The 5Q concept identifies five natural areas of giftedness (or strength): The Pioneer, The Creative, The Communicator, The Guide and the Mentor. The assessment identifies your primary strength area, how to develop and harness that strength, what it looks like to grow into other areas and leverage the strengths of your team members. 5Q is an interpretive key to help leaders and their teams unlock potential and purpose to all the more readily collaborate, communication or more effectively work together.